Had enough of Harvard Square’s fast-food burgers, burritos, and pizza? Look no further than Tom’s BaoBao, a new Chinese restaurant opening in the Harvard Square Galleria on July 12. This restaurant won’t be serving just any Chinese food, either. Tom’s BaoBao specializes in the traditional Chinese delicacy bao—more commonly known as steamed buns in the U.S.—and prepares the food with even more attention to detail than you give your Tinder profile pics. Employees at Tom’s BaoBao have undergone rigorous training in the art of bao-making over the past months, and you’ll be able to watch as they create the perfect steamed bun at the restaurant. Bao, a 1,200 year old delicacy, is made by carefully crafting fist-sized buns out of dough filled with a wide variety of meats or vegetables (at Tom’s BaoBao, even a lobster filling will be available). Restaurant owner and entrepreneur Tom Tong’s revitalization of the bao-making tradition is already a hit in China, where Tong’s restaurant chain GanQiShi already has around 200 locations. After opening his first U.S. restaurant in Harvard Square, Tong has plans for a Tom’s BaoBao in Providence, and there are also rumors that Tong will roll out a bao food truck down the line. 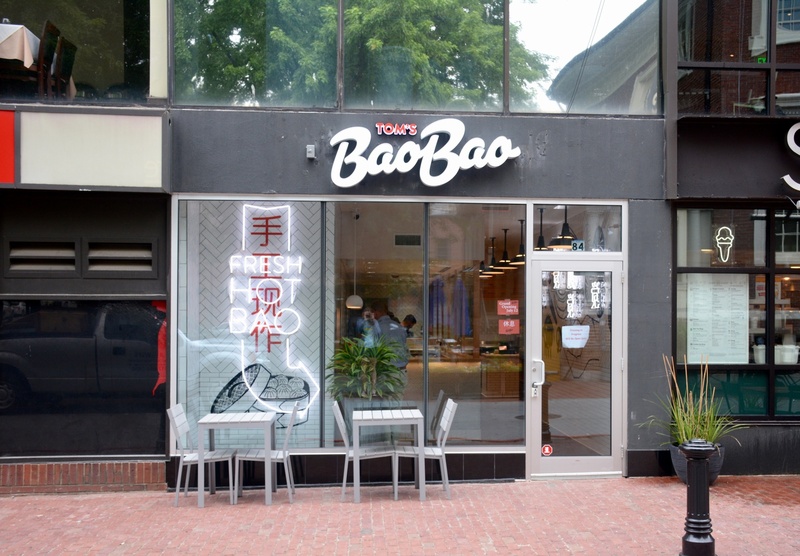 We welcome the addition of any new tasty restaurants in Harvard Square, and Tom’s BaoBao is poised to be a fitting replacement for Yogurtland in the Galleria storefront.